The 1850 U.S. federal census recorded that there was about 3800 Irish-born people in the state of Georgia. This is less than would be found in some cities in the states of New York or Massachusetts. Almost 40% of those people (1500) lived in the coastal city of Savannah and its environs. That left about 2300 scattered across a state that is almost twice the size of the island of Ireland. So where did these hardy souls live? One settlement was in the area of Sharon about 55 miles west of Augusta. Locust Grove, a few miles from Sharon, is considered the "cradle of Catholicity" in Georgia. It was here that settlers from Maryland built a simple log cabin chapel in 1785. This first colony contained families with the names Shehan, Griffin, Harty, and Hynes and they were attended to from Irish-born priests based in Charleston, South Carolina. By 1850, this part of Georgia was in Taliaferro county. When the census was taken in that year, the enumerator recorded 50 Irish-born people and many more who were first generation Irish-Americans. Transcriptions of burials from the Catholic cemetery in Locust Grove shows where many of these immigrants came from in Ireland. It can be seen that the counties of Carlow, Tipperary, Galway, Wexford, and Kerry are all represented. At the micro level, one example is the Burke family. Margaret Burke died in 1856 and was born in Tipperary, about 1807. What is almost certainly her listing in the 1850 census shows her living with probable husband Patrick, and children James, Ellen, Mary, and Joseph. Other Burkes who were born in Tipperary are listed in the internment transcriptions. One woman, Catherine, born in the late 1700s, is living with her probable children John, Mary, and Margaret. Here we can see an almost certain example of either group or chain migration concerning one family. The main question, though, is what motivated them to settle so far from the usual east cost Irish population settlements? According to MacLysaght's The Surnames of Ireland, the names of some of the original settlers (Shehan, Griffin, Harty, and Hynes) are traditional Munster names, with Harty associated with Tipperary. 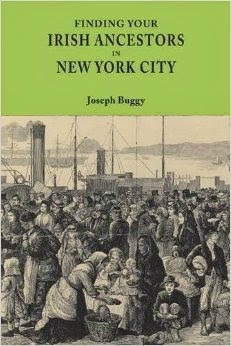 Did all these Burke's follow some of the original Catholic settlers to Locust Grove? Ultimately, this is speculation and needs more research. With that in mind, comments are most welcome from any of the descendants of these families. Familysearch.org. United States Census, 1850. Index and images. Index search: Irish born /Georgia resident. https://familysearch.org/search/collection/results?count=20&query=%2Bresidence_place%3Ageorgia~%20%2Bbirth_place%3Aireland~&collection_id=1401638: accessed 19 December 2013. Catholic Editing Company. The Catholic Church in the United States of America, Volume III. Plimpton, MA: Norwood. 1914. p. 214. Catholic Editing Company. 1914. p. 215. Archdiocese of Atlanta. Locust Grove Internments. 2013. http://www.archatl.com/offices/cemeteries/LocustGrove_Interments.pdf: accessed 19 December 2013. "United States Census, 1850," index and images, FamilySearch (https://familysearch.org/pal:/MM9.1.1/MZYX-7DJ: accessed 19 Dec 2013), Margarett Berk in household of Patrick Berk, Taliaferro county, Taliaferro, Georgia, United States; citing dwelling 127, family 127, NARA microfilm publication M432, roll 83. "United States Census, 1850," index and images, FamilySearch (https://familysearch.org/pal:/MM9.1.1/MZY6-TYW : accessed 19 Dec 2013), Catharine Berk, Taliaferro county, Taliaferro, Georgia, United States; citing dwelling 309, family 309, NARA microfilm publication M432, roll 83. The southern province of Ireland containing the counties Kerry, Cork, Limerick, Tipperary, Waterford, and Clare. MacLysaght, Edward. The Surnames of Ireland. 6th ed. Dublin: Irish Academic Press. 1999. p. 149.